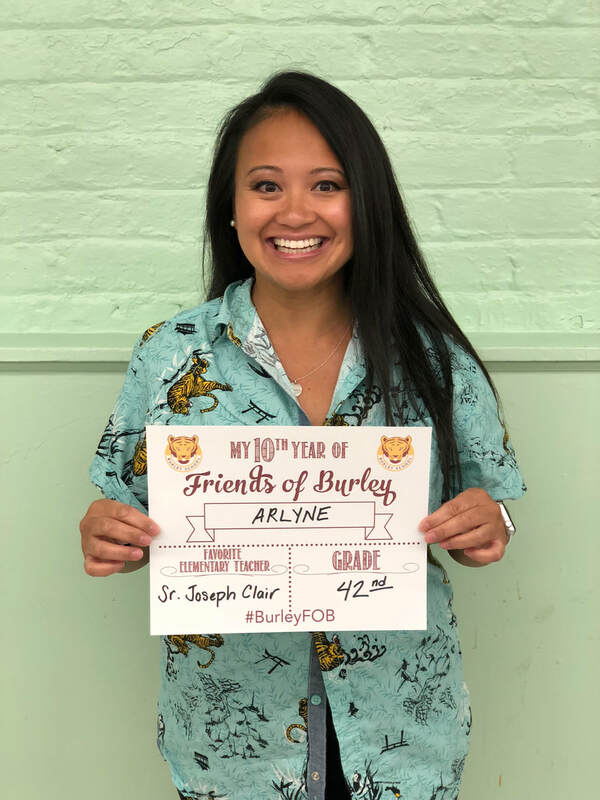 My name is Arlyne Chin. I currently work full time as a Project Manager for a large IT/software company. I'm a mom, a wife, a weekend athlete, and an eternal volunteer. I have 2 boys, Jackson (freshman and Burley graduate) and Col (8th @ Burley). I began my Burley career as a volunteer room parent when my oldest was in Kindergarten to cover up my separation anxiety from my babies. I've been at it, as a room parent, for 10 years now and I think I am finally adjusting to my boys being in school. I then took a stab at working with the PTA when I felt so bad about the directory being manually created by a spreadsheet - anyone who knows me will tell you I love Excel! I joined Friends of Burley as a director to chair the Annual Winter Party with my sister who was also a Burley Parent and PPG (Professional Party Goer). When my sister decided to take her talents outside of Chicago, I was told I was the only person entrusted with the cash box key and had to continue to run the Winter party or run for President of FOB whichever came first. Fortunately, it became a thrill to chair the annual event, and eventually, becoming the President of FOB. I’ve made some great connections throughout my time at Burley and will continue to reach out to build relationships to make Burley the best environment possible for all of our kids.